Winter has officially arrived, and it can be easy to feel stressed with all of the traveling, shopping, cooking, and cleaning that’s being done in preparation for the holidays. As an Anna Maria Island salon and spa, we understand the importance of de-stressing and looking your very best during the holidays. Here are some key ways in which you can take care of yourself in order to remain radiant and happy throughout the crazy winter months. A great way to remain beauty-conscious is to keep track of winter hair trends. During the winter, many decide to go darker in color. Sport a dark color with some warm undertones, or consult our expert stylists for some advice on hair design. Whatever it is that you decide you want, Acqua Aveda can get it done. Visit us for a full color, highlights, or a haircut in Holmes Beach. As skin care professionals, we know the threats that winter months pose to your skin. While being in Florida lessens the dramatic effect that winter has on your skin, you may still experience increased dryness during these months. The best ways to combat dry skin are to moisturize more and seek a specialist. As a solely natural spa, we treat your skin with only the best products, and offer a variety of facials that will leave you and your skin feeling rejuvenated. During the winter months, it is easy to let your skin color fade, leaving you with a pale look. While there is nothing wrong with pale skin, tan skin may give you the glow that you are looking for. Our all-natural sunless tanning services can give you the natural color that you desire in just minutes. Perhaps one of the best ways to remain radiant during the winter months is to take a break from your hectic schedule. What better way to reduce stress than by receiving a relaxing massage on Anna Maria Island? We offer various types of massages, all of which are meant to relax and rejuvenate you and improve your overall well-being. Contact Acqua Aveda Salon, Spa & Store! Our goal is to leave you feeling relaxed during the busy months that lie ahead. With a variety of revitalizing services, we know that we can help you re-charge and prepare you for whatever the winter months have in store for you. 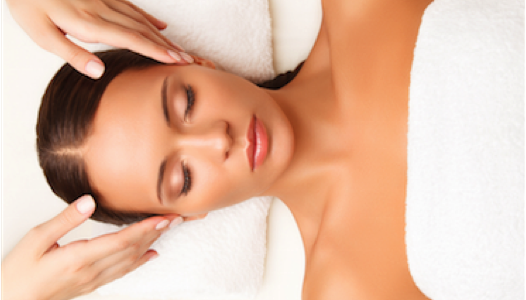 Contact your award-winning spa & hair and nail salon on Anna Maria Island today to receive a treatment that will leave you looking and feeling radiant. Schedule an appointment online or call us at (941) 778-5400 today.